In his Water Resources Engineering Laboratory, in the basement of the STEM Complex, Ioan Nistor will set natural and artificial worlds on a collision course. Using equipment unparalleled in Canada, the professor of engineering and his colleagues will stir up waves and shake the earth to simulate tsunamis, earthquakes and other natural hazards, and determine their impact on critical structures such as bridges, buildings and dams. The aim of the lab is to build infrastructure that can better resist the destructive force of weather extremes. Collision is also at the core of the STEM Complex itself, designed as a place where the clash of ideas is welcome and anything is possible. It is the largest building on campus, doubling the space for research, experiential learning and entrepreneurship. It will be where traditional notions of scientific research and discovery are turned on their head to encourage inclusion and innovation among disciplines — the arts, the humanities, science and engineering. 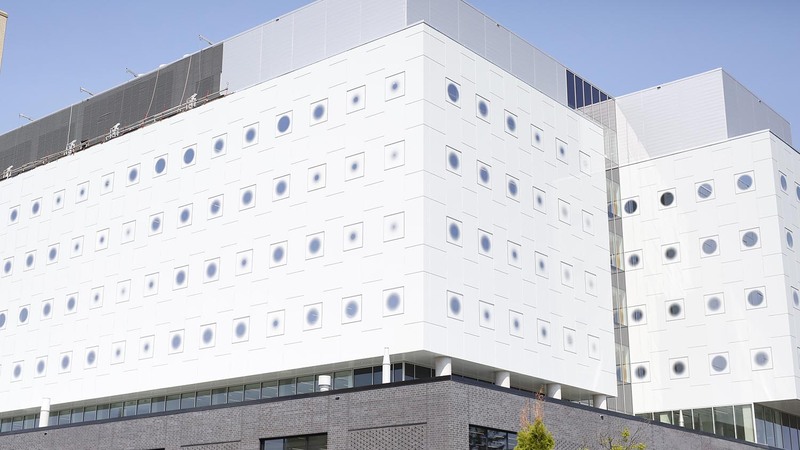 18 state-of-the-art laboratories, including experiential labs such as the Pelling Lab, where researchers from various disciplines explore new strategies for controlling cells. The Richard L’Abbé Makerspace, the John McEntyre Team Space and the Simon Nehme Design Commons expand areas devoted to brainstorming and experimentation for all students. The Brunsfield Centre and the Entrepreneurship Hub are some of the dedicated spaces for prototyping, commercialization and entrepreneurship. The STEM Complex will not only boost research on campus — it will help foster greater collaboration with industry and the private sector and bridge gaps in innovation. Through the synergy of art and science, this is where students and researchers of all stripes will make the future.